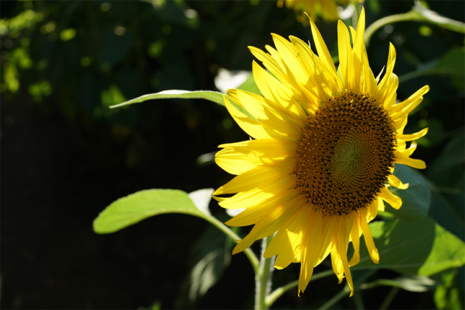 Hannah Schanzer is a Park Intern at Solar One this summer, working in Stuyvesant Cove Park. She is a rising junior at Washington University in St. Louis, studying Environmental Policy and Urban Studies. She has come to the Park this summer to learn more about urban park stewardship and urban ecology. For my summer research project, I really wanted to focus on studying how the urban setting impacts the biodiversity of the park. Stuyvesant Cove Park is situated between a gas station, a power plant, and the highway. Additionally, it is located on the former site of a cement mixing factory. Preliminary testing revealed that the soil in some beds of the park have slightly elevated levels of lead, although not enough to cause concern with park operations (highest lead concentration in a bed was 80 ppm (parts per million), anything less than 100 ppm is considered safe for children to play in). I was curious to find out whether there was a way to “clean” the soil with the highest lead concentration without treating it with chemicals or replacing it with imported soil. 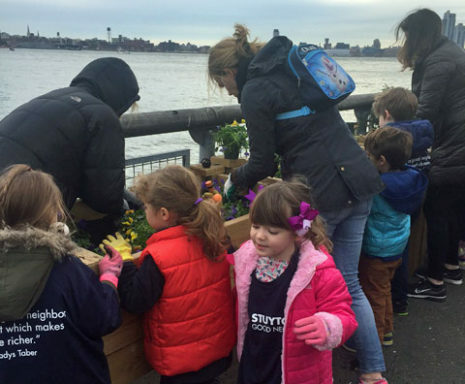 Saturday November 18 th was the last Community Volunteer Day of 2017 at Stuyvesant Cove Park, and there couldn’t have been any better way to celebrate. A first in many years, the event was a partnership between Stuyvesant Town and Solar One- the rekindling of the collaboration between neighbors that will grow into next season. 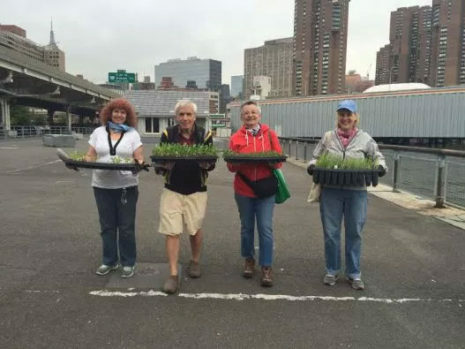 New York Cares, who has been a strong partner of the park for quite some time also joined for a healthy turnout of almost fifty people of all ages. Stuyvesant Town has a new initiative called the Good Neighbors Program, which is a volunteer group of staff and residents who help with projects in the community city and statewide, and it was through this wonderful group that there were so many new faces of all ages helping out and becoming better acquainted with their neighborhood waterfront park! 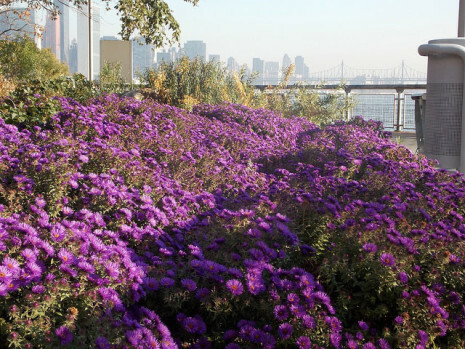 As many of you already know, Stuyvesant Cove Park is a native species plant park. When we have school groups one of the first questions I ask is, “can anyone tell me what a native plant is?” It’s a harder question to answer than one might think, but the simple answer is that native plants are those species that naturally occur in a region and have evolved and adapted over many thousands of years to the specific conditions of that geographic area. Many of us don’t think of gardens as having any purpose outside of providing beauty, or perhaps growing food to eat. 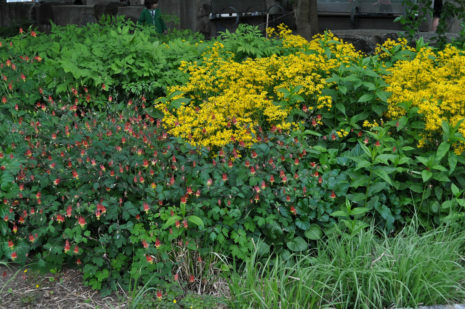 But today, our gardens are actually one of the last chances we have to preserve the diverse species of plants, insects and wildlife that once prolifically populated our region. It’s hard to believe that summer is well and truly over and fall is upon us! 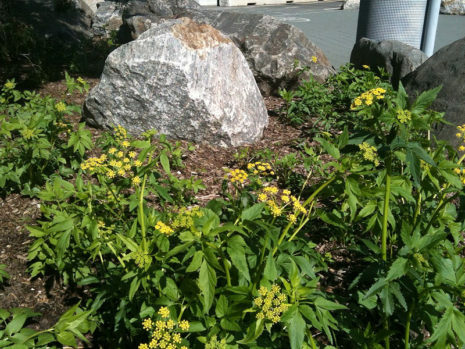 But that doesn’t mean there isn’t still time to enjoy native flowers blooming in Stuyvesant Cove Park! And if you’d like to help us put the Park to bed for the winter, our last Park Volunteer Day of 2015 will be held on Saturday October 31 from 10am-1pm. Pizza lunch will be provided by the Stuyvesant Cove Park Association, and if you’d like to come, please RSVP to dina[at]solar1[dot]org. You will need weather-appropriate clothes (layers are good at this time of year) and close-toed shoes. we’ll provide the tools, gloves and other supplies you’ll need to get the job done.